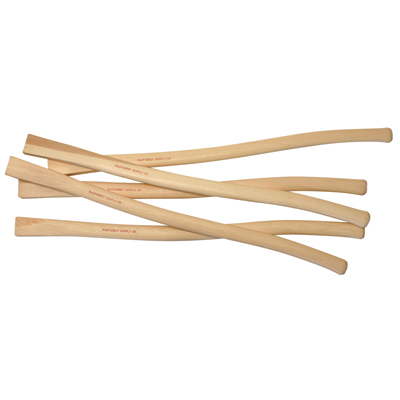 Our hoedad handles are made from excellent grade hickory and manufactured in the heart of hickory country. We strive for consistently tight, straight grained wood that is turned to fit our hoedad handle brackets. Remember, we will press your handles into brackets at no extra charge. We inspect every handle to make sure they are straight and reject those that don't meet our standard.